Objectives: understand that the relationship between the light dependent and the light independent reaction. Detail the steps of the light dependent reaction. Detail the steps of the light independent reaction. 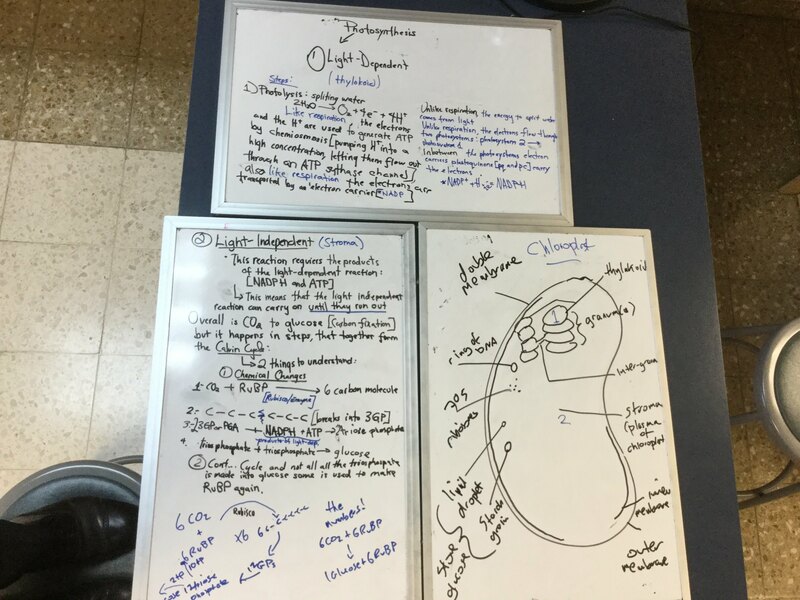 Understand how chloroplasts are adapted for their function. Photosynthesis: the conversion of light energy to chemical energy, in the form of carbohydrates, in plants, using carbon dioxide and water. 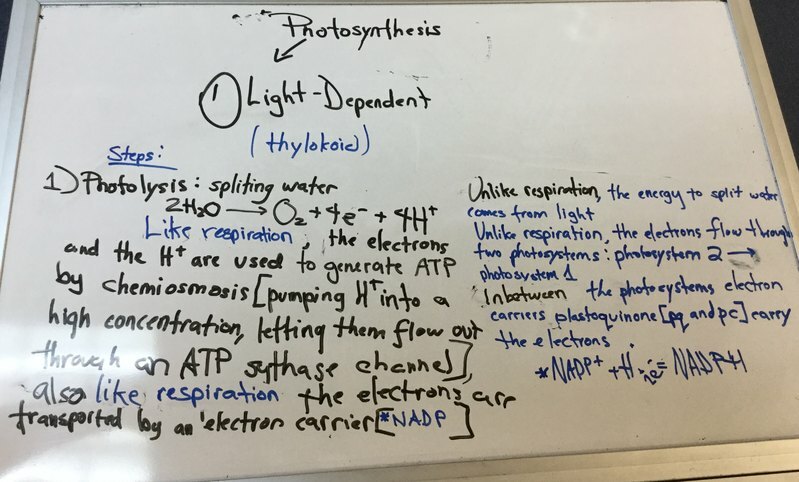 Light independent-stage: the second stage of photosynthesis, where carbon dioxide is changed into carbohydrates (ie. carbon-fixing). 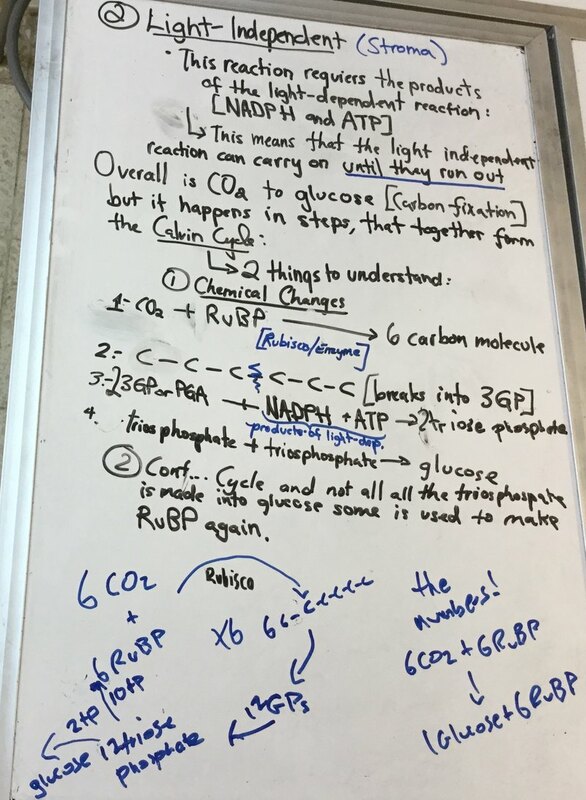 This is done by combining it with a chemical called RuBP and then reducing it (adding hydrogen from light dependent stage), then using ATP to change it to triose phosphate. Triose phosphate is the chemical that can be used to make glucose and other carbs. NADP: an electron carrier, like NAD and FAD in respiration. (also carries hydrogen, not just electrons, like NAD and FAD). Nicotinamide adenine dinucleotide phosphate. NADPH is the reduced form. RUBP: ribulose diphosphate. The 5C molecule that combines with CO2 at the beginning of the cycle. Rubisco: the enzyme that catalyses the combination of CO2 and RUBP. The most abundant enzyme in the whole world! Thylakoids: membranous discs that contain all the photosynthetic pigments eg. chlorophyl a (light dependent reactions take place here). the arrangement of the thylakoids in vertical stacks ensures maximum ‘harvesting efficiency’ of the energy in sunlight. Even if sunlight passes right through the first thylakoid, the energy could be harvested in the next one and so on. Also the large surface area of the thylakoids helps to more efficiently harvest light energy. 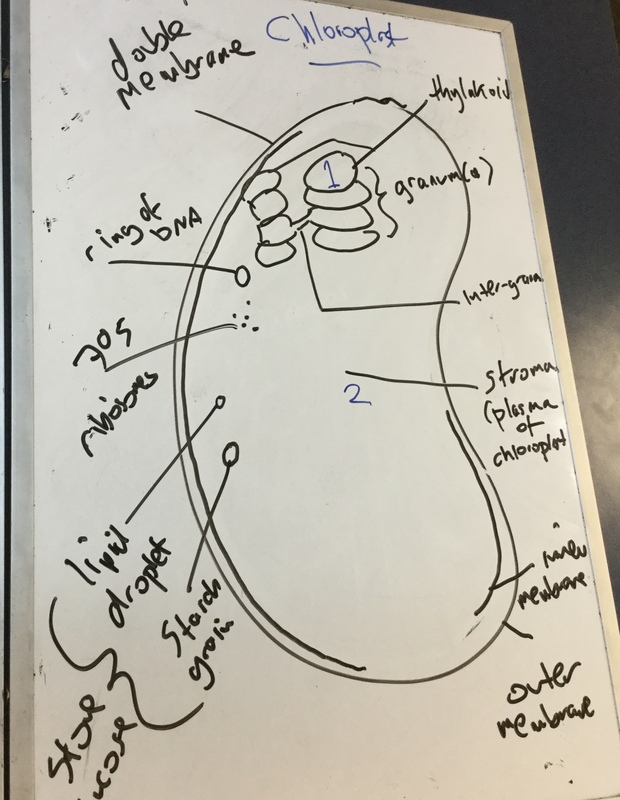 The stroma is protected by a double membrane, which allows for conditions which are optimal for the calvin cycle and separate from the cytoplasm of the cell. Rubisco and other enzymes are present.